First wearable device for incontinence helps to predict toilet timing and prevent accidents. According to the U.S. National Institutes of Health, urinary incontinence affects 500 million people worldwide. Urinary incontinence occurs when there is loss of bladder control. It’s common among seniors, especially women. It may be caused by weak or overactive bladder muscles, weak pelvic floor muscles, or damage to nerves that control the bladder from diseases such as multiple sclerosis, diabetes or Parkinson’s disease. Other causes of incontinence include blockage from an enlarged prostate in men, injury or damage to nerves and muscles from surgery. 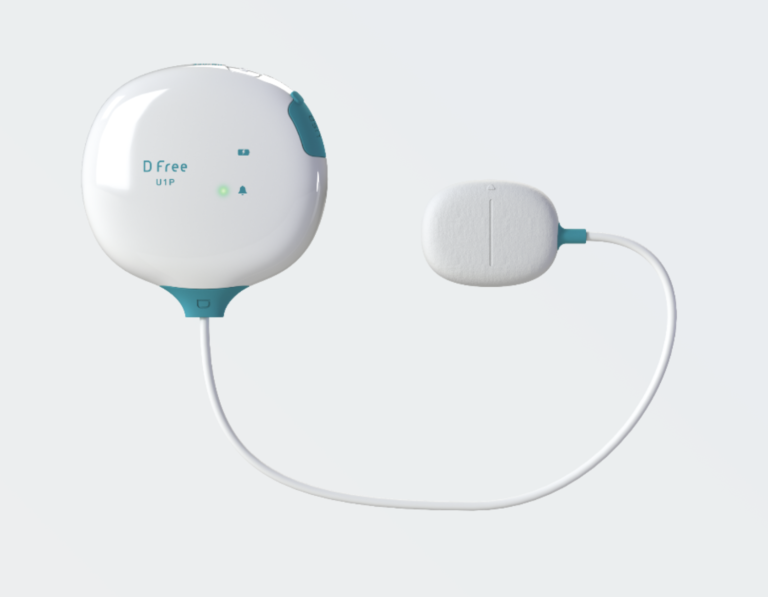 The lightweight and portable DFree device may be discreetly clipped on your belt or clothing while the non-invasive ultrasound sensor is secured to the lower abdomen with medical tape. The sensor uses non-harmful ultrasound technology to monitor the change in bladder size and predicts urination timing using a patented algorithm. DFree sends a notification via Bluetooth® to a smartphone or tablet via the DFree app -- informing the individual or caregiver, when it’s time to go to the bathroom. The user sets the threshold of when they want to be notified such as when their bladder is 65 percent, 70 percent or 85 percent full. Triple W is offering a 15 percent discount on the purchase of DFree for attendees during Medtrade (October 15-17, 2018). Triple W is also offering a Referral Program for anyone who makes a purchase referral to DFree using a unique DFree code. The referee will receive a $50 check once their referred friend/family completes a purchase using their unique code. The referred buyer will also receive a 15 percent discount towards purchase. See DFree website for “Get Rewarded” icon for details.